Blimey, nearly hit 130 Mounts. 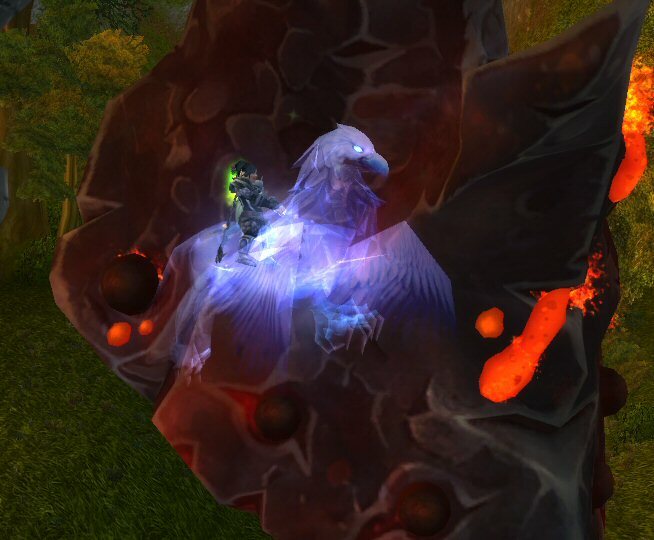 The Spectral Gryphon is, lets be honest, utterly gorgeous. I’ll need to find a decent place to get a proper snap but for now this will do. I suspect this is now my flying mount of choice as well, considering the number of people who have asked me what it is since I got it. I’d forgotten a week had passed as well, with all the fuss over Diablo yesterday. I'm ok with them keeping the pets limited to one toon as it encourages you to send out more invites. Alas, I don't know if any of my invites will accept. ← Keep Calm and Keep Posting!